Looking back on these experiences, I find it amazing because they are so far removed from my thought process today. It is almost as if I had an identity crisis somewhere along the way and didn’t even recognize it when it was happening. As I look and apply for jobs, I have recognized that in none of these jobs would I be a performer or entertainer. That being said, it is impossible to separate myself from my experiences in classical music – and I recognize that I will never let go of my identity as a musician. I gained a great deal of confidence, stage presence, and poise through performances. But more than that, I learned a great deal of responsibility as I cared for my voice (no yelling at sporting events for me! ), developed a strong work ethic (yes, I would practice hours a day), and discovered what it meant to actually earn something, instead of being given it by my parents. These are the benefits of a classical music education. In today’s world, there is no more popular classical education program than the Venezuelan El Sistema. After having read so many books based on political, economic, or historical topics, I wanted to find a book which particularly delved into this subject. 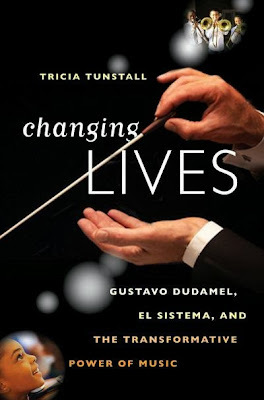 I found one English-language book entitled Changing Lives: Gustavo Dudamel, El Sistema, and the Transformative Power of Music by Tricia Tunstall. I have to admit, the title is a bit sensationalistic, borrowing off one of the “hottest commodities” in the classic music world today: Gustavo Dudamel. This world-renowned conductor has one of the busiest and exciting schedules for the 2013-14 season - performing the world over, particularly in the United States. In 2009, Dudamel became Music Director of the Los Angeles Philharmonic Orchestra. He is also the most well-known product of El Sistema, an organization for which he is currently serving as Music Director of the Simón Bolívar Symphony Orchestra of Venezuela. 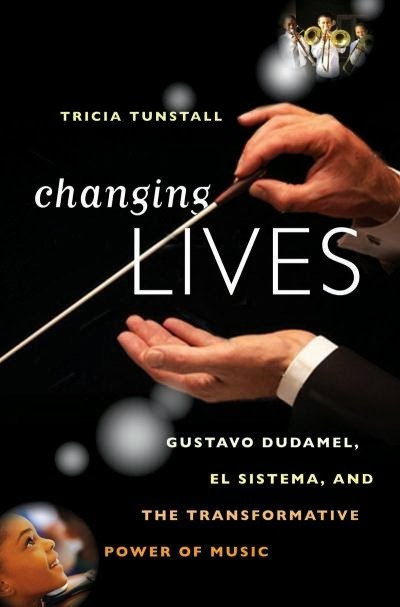 Rather than focusing on Dudamel, this book focuses most specifically on the formation of El Sistema and its founder, José Antonio Abreu, a retired economist. After having read so much about the political system in Venezuela, I made a lot of connections that were not mentioned in the book. In fact, I will mention that Hugo Chavez is not listed in the index, although there is one mention of him in the book: “His [Abreu’s] political and diplomatic acuity have enabled him to gain the backing and material support of seven consecutive Venezuelan governments, ranging across the political spectrum from center-right to the current leftist presidency of Hugo Chávez.” (page 84) Although this was only briefly touched on in the book, I feel as if it is worth emphasizing. Personally, I find the idea that such a program could survive so many regime changes to be remarkable. Indeed, it would take more than just good connections, but also a great deal of diplomacy and acumen. However, it does come at a price: El Sistema has changed under Chávez. In fact, the state foundation’s name was recently changed to Fundación Musical Simón Bolívar and its touring orchestra is now the Simón Bolívar Youth Orchestra, supposedly to better connect with Chávez’s Bolivarian Revolution. It seems as if Chávez utilized this foundation to gain positive publicity abroad. I am not saying that Abreu is a Chávez-like figure, but am trying to draw some connections between the two to emphasize an important point: Can El Sistema live without Abreu? In the past few months, it has become ever the more apparent that the Bolivarian Revolution does not have the strength, and arguably cannot survive, without Chávez as its leader. And, if we doubt that El Sistema can live without Abreu, can a system be developed that will ensure its continuation and growth in the future?